We have reached a turning point in society. According to renowned theoretical physicist Michio Kaku, the next 100 years of science will determine whether we perish or thrive. 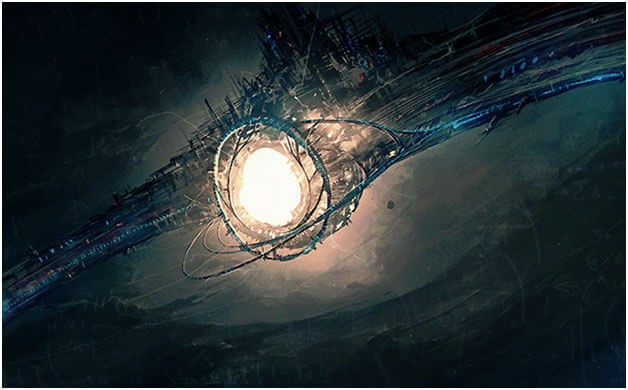 Will we remain a Type 0 civilization, or will we advance and make our way into the stars? Experts assert that, as a civilization grows larger and becomes more advanced, its energy demands will increase rapidly due to its population growth and the energy requirements of its various machines. 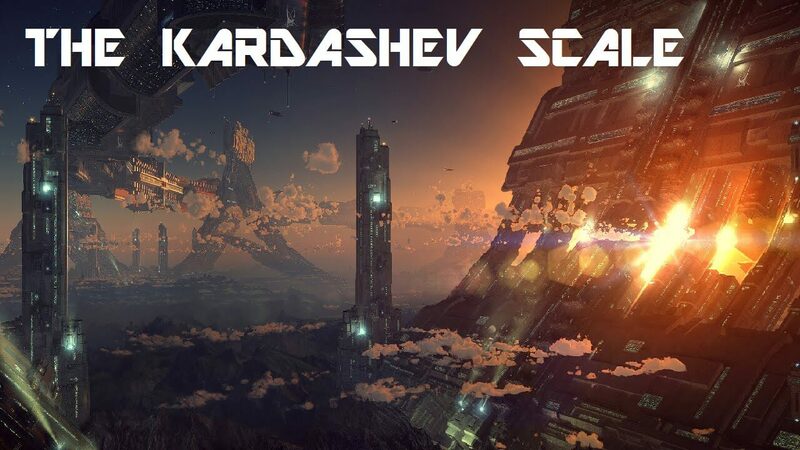 With this in mind, the Kardashev scale was developed as a way of measuring a civilization’s technological advancement based upon how much usable energy it has at its disposal (this was originally just tied to energy available for communications, but has since been expanded). The scale was originally designed in 1964 by the Russian astrophysicist Nikolai Kardashev (who was looking for signs of extraterrestrial life within cosmic signals). It has 3 base classes, each with an energy disposal level: Type I (10¹⁶W), Type II (10²⁶W), and Type III (10³⁶W). Other astronomers have extended the scale to Type IV (10⁴⁶W) and Type V (the energy available to this kind of civilization would equal that of all energy available in not just our universe, but in all universes and in all time-lines). These additions consider both energy access as well as the amount of knowledge the civilizations have access to. First, it is important to note that the human race is not even on this scale yet. Since we still sustain our energy needs from dead plants and animals, here on Earth, we are a lowly Type 0 civilization (and we have a LONG way to go before being promoted to a type I civilization). Kaku tends to believe that, all things taken into consideration, we will reach Type I in 100 – 200 yearstime. But what does each of these categories actually stand for in literal terms? A Type I designation is a given to species who have been able to harness all the energy that is available from a neighboring star, gathering and storing it to meet the energy demands of a growing population. This means that we would need to boost our current energy production over 100,000 times to reach this status. However, being able to harness all Earth’s energy would also mean that we could have control over all natural forces. Human beings could control volcanoes, the weather, and even earthquakes! (At least, that is the idea.) These kinds of feats are hard to believe, but compared to the advances that may still be to come, these are just basic and primitive levels of control (it’s absolutely nothing compared to the capabilities of societies with higher rankings). What would this much energy mean for a species? Well, nothing known to science could wipe out a Type II civilization. Take, for instance, if humans survived long enough to reach this status, and a moon sized object entered our solar system on a collision course with our little blue planet–we’d have the ability to vaporize it out of existence. Or if we had time, we could move our planet out of the way, completely dodging it. But let’s say we didn’t want to move Earth… are there any other options? Well yes, because we’d have the capability to move Jupiter, or another planet of our choice, into the way – pretty cool, right? So we’ve gone from having control over a planet, to a star, which has resulted in us harboring enough “disposable” energy to essentially make our civilization immune to extinction. But now, onto Type III, where a species then becomes galactic traversers with knowledge of everything having to do with energy, resulting in them becoming a master race. In terms of humans, hundreds of thousands of years of evolution – both biological and mechanical – may result in the inhabitants of this type III civilization being incredibly different from the human race as we know it. 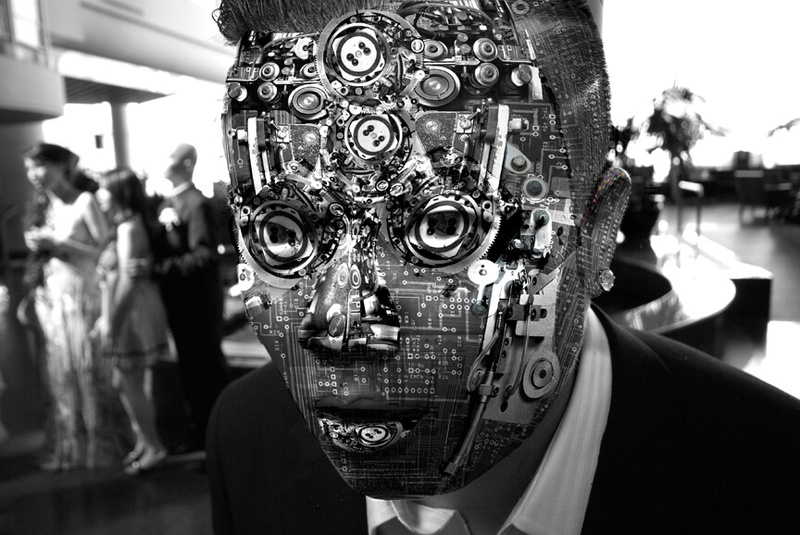 These may be cyborgs (or cybernetic organism, beings both biological and robotic), with the descendants of regular humans being a sub-species among the now-highly advanced society. These wholly biological humans would likely be seen as being disabled, inferior, or unevolved by their cybernetic counterparts. At this stage, we would have developed colonies of robots that are capable of ‘self replication’; their population may increase into the millions as they spread out across the galaxy, colonizing star after star. And these being might build Dyson Spheres to encapsulate each one, creating a huge network that would carry energy back to the home planet. But stretching over the galaxy in such a manner would face several problems; namely, the species would be constrained by the laws of physics. Particularly, light-speed travel. That is, unless they develop a working warp drive, or use that immaculate energy cache to master wormhole teleportation (two things that remain theoretical for the time being), they can only get so far. Kardashev believed a Type IV civilization was ‘too’ advanced and didn’t go beyond Type III on his scale. He thought that, surely, this would be the extent of any species’ ability. Many think so, but a few believe there is a further level that could be achieved. (I mean, surely there is a limit?) Type IV civilizations would almost be able to harness the energy content of the entire universe and with that, they could traverse the accelerating expansion of space (furthermore, advance races of these species may live inside supermassive black holes). To previous methods of generating energy, these kinds of feats are considered impossible. A Type IV civilization would need to tap into energy sources unknown to us using strange, or currently unknown, laws of physics.